The South African Football Association (Safa) has allocated R10 million for the National Women’s Soccer League. This was announced by Safa president Danny Jordaan at Moses Mabhida Stadium in Durban. There has been an outcry from the masses in the football fraternity regarding the Women’s League. The women have been the shining light of the nation over the last couple years. 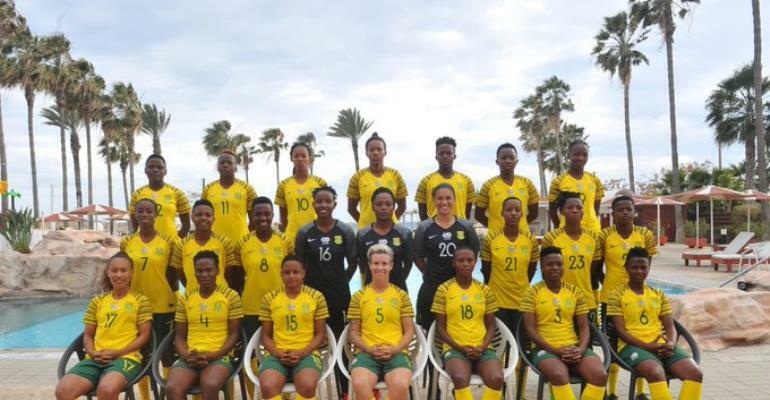 Banyana recently lost in the final of the Africa Cup of Nations and they qualified for their maiden World Cup in June in France. “If we want the success of Banyana Banyana to continue, then we must have a national league. We want to launch that league after the World Cup, probably on August 9 because it is Women’s Day,” said Jordaan. “We have already set as aside R10m for this league as a contribution to set that league on its way. To put away the doubts, it is going to happen. We’ve allocated R10m and that league will kick-off. The finer details and the structure of the National Women’s Soccer League will be announced at the launch in August. “The amazing thing is that women who are playing in the neighbouring countries like Zimbabwe, Zambia, Angola and Mozambique are already enquiring, are you going to allow foreign players to play in your league? They are waiting for us to say yes. It will bring so much excitement and expectations, that part of wanting sustainable success at the level of Banyana,” he added. Safa has also submitted a bid to host the 2023 Women’s World Cup. “We’ve submitted the bid for the World Cup for 2023. We have to do two things: We have to strengthen that league in getting it off (the ground). “Secondly, we did talk to the coach to say, ‘how many of those players will be playing in the World Cup in our country if we are successful’, so that we can have a majority of those players in 2023. We are also looking at the bigger picture,” Jordaan concluded.